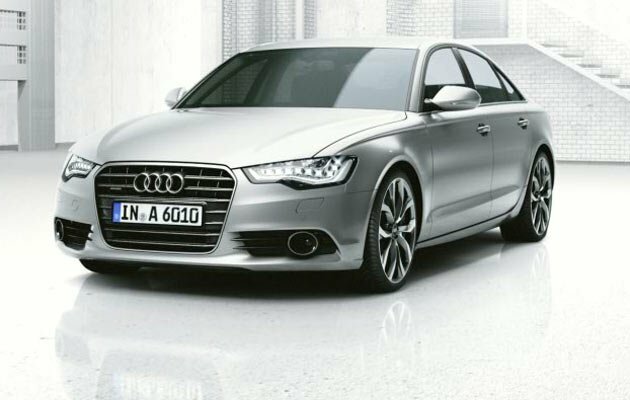 Audi, the German luxury car manufacturer has launched its executive class sedan, the new Audi A6 in India. Powered by four strong and highly efficient gasoline and diesel engines, thisluxury saloon business at INR 37,70,000 for the 2.0 TDI, INR 39,90,000 for the 2.8 FSI, INR 46,95,000 price for the 3.0 TDI q and INR 47 , 00,000 for the 3.0TFSI q (ex-showroom Delhi) and is available at Audi dealers from August 2011. 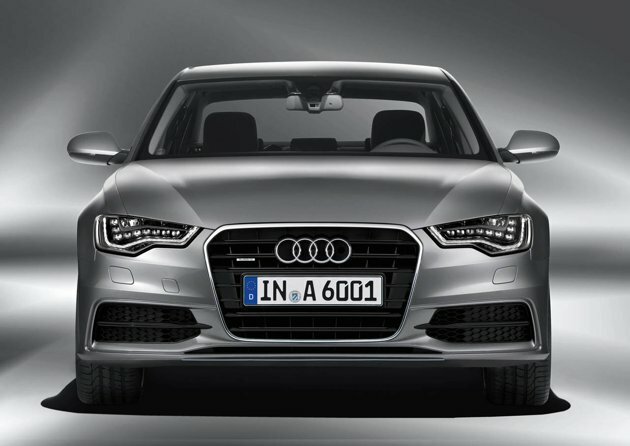 Company says that the successor to one of the world's most successfulexecutive saloon, the new Audi A6 offers groundbreaking solutions in all areas of technology. 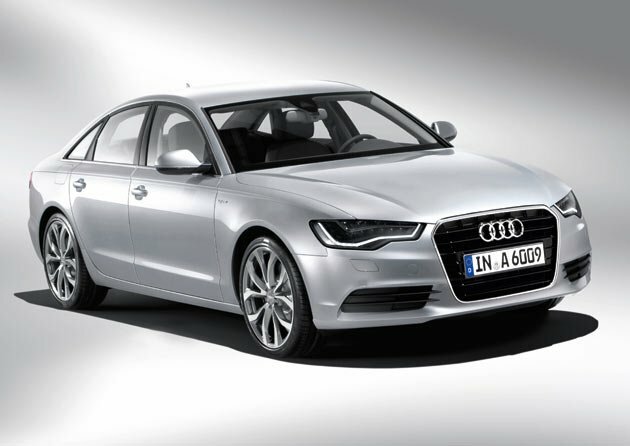 "The launch of the new Audi A6 is in line with our top-down strategyfor India. 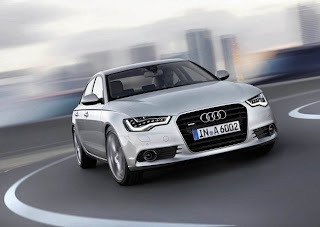 The new Audi A6 is a perfect blend between the advanced technology of the newAudi A8 L, and the design features of the new Audi A7 Sportback. With its wide range of technical innovations such as lightweight technology,adaptive air suspension, LED headlights, Audi drive select, start-stop systemwith energy recovery, just to name a few, the new Audi A6 is new is the upperclass in luxury vehicles "Define, said Michael Perschke, Head, Audi India. Way back in 2006, revised Audi the rules of racing, and became the world's first automobile manufacturer to a diesel engine is writing an important chapter in the history of motor sport with a significant triumph in the 24 Hours of Le Mans, the world's toughest competitive long-distance race. 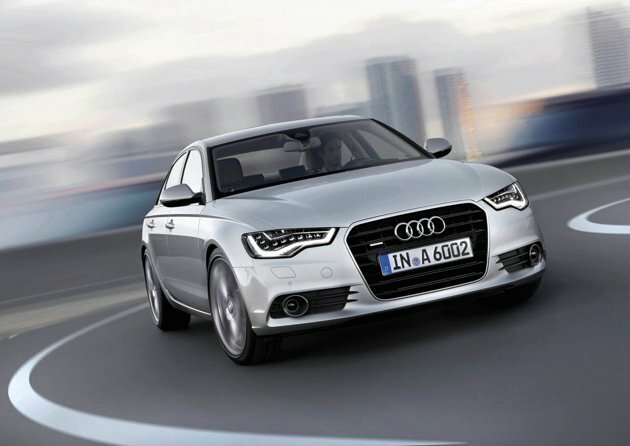 The new Audi A6 embodied in its hybrid-aluminum housing and the efficiency of their best in class fuel consumption slightly. 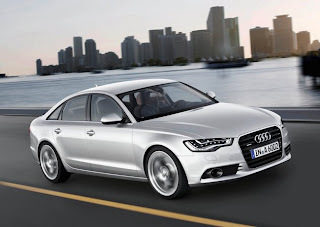 The Audi A6 2.0 TDI, for example, consumes the scales at just 1575 kg and 4.9litres/100 km * (after the EU cycle). With these characteristics in common with the Audi R18 TDI - winner of the 24Hours of Le Mans Race 2011 - The new Audi A6 offers today the successfulbusiness man, a powerful, yet sporty and luxurious executive saloon. With its many technical innovations and its lightweight aluminum construction,design embodies the sportiness and elegance. 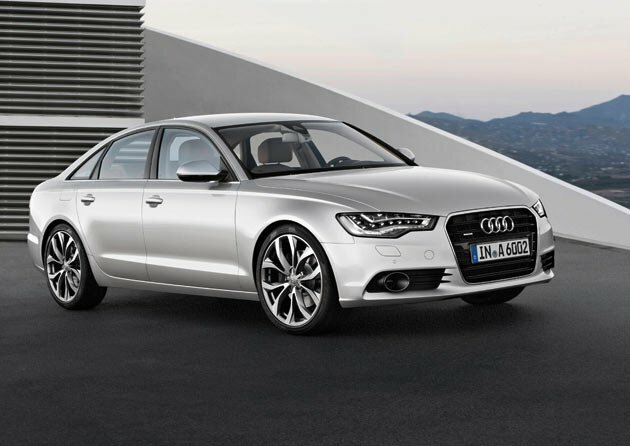 Measuring 4.92 meters in length, with a 2.91-meter wheelbase, the new Audi A61.87 meters wide and 1.46 meters high - the sportiest proportions in the upper class. 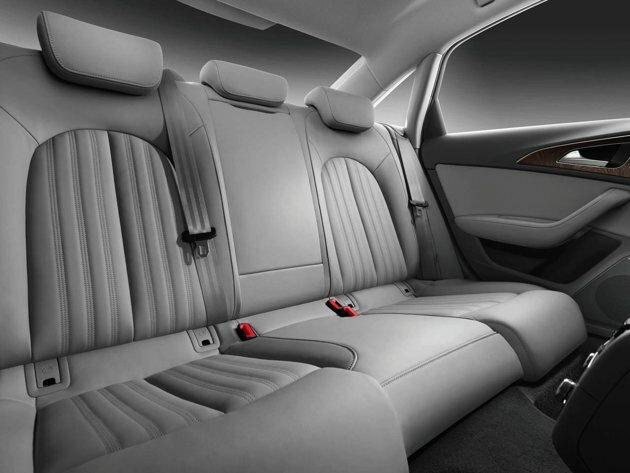 The spacious interior with its rich variety of devices such as MMI makes touch interface Bluetooth, Bose surround sound, comfort-key, with an elegant exterior combined with the new Audi A6 is the perfect luxury sedan for the C-suite executive of India. 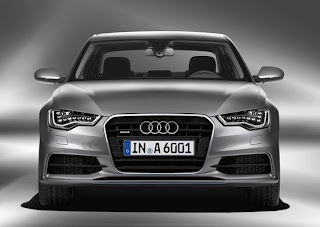 Audi launches the new A6 with a choice of four strong and highly efficient four-and six-cylinder power plants. The two petrol engines and two TDI engines produce outputs between 130 kW (177 hp) to 220 kW (300 hp). All these engines use technologies from the modular efficiency platform brand - an innovative thermal management approach, the start-stop system (gasoline) and energy recovery. Gasoline engines are the 3.0 FSI V6 produces 220 kW (300 hp) and has a displacement of 2,995 cc, while the 2.8 FSI V6 produces 150 kW (204 hp) with a displacement of 2773 cc. 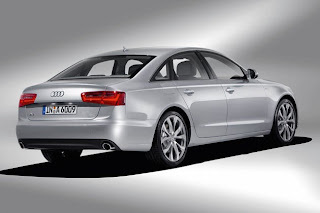 Diesel engines are the 3.0 TDI V6 produces 180 kW (245 hp) and has a displacement 2967 cc, while the 2.0 TDI in-line 4-cylinder produces 130 kW (177 hp) with a displacement of 1,968 cc. Audi sold more than 652 950 vehicles to customers worldwide, an increase of 17.7 percent over the same period in 2010. Audi is the No. 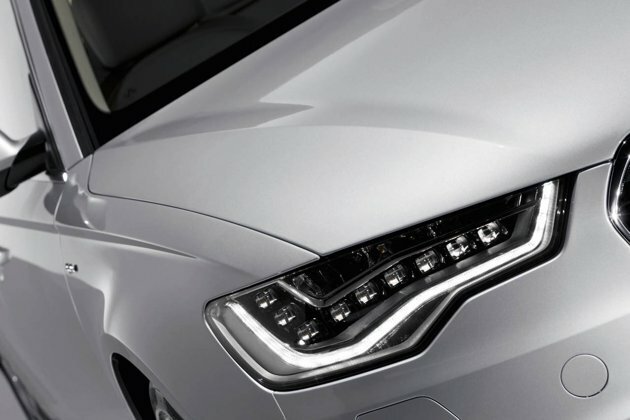 1 premium car brand in Europe and China and is currently the fastest growing luxury car brand in the U.S. and India. 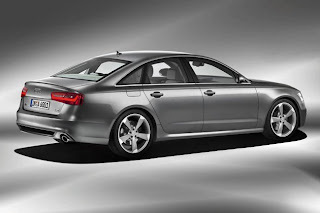 Audi India exceeded the annual sales of 3003 cars for 2010 in the first seven months of 2011 and recorded an impressive 93 percent growth from January to July 2011 with a sale of 3145 cars (1626 cars: from January to July 2010). In July 2011 the company sold 343 vehicles - a growth of 52 percent over the same period last year (226 cars: July 2010). With this robust performance, Audi is confident that retail sales target of 5,000 cars by the end of 2011. The National Highway Traffic Safety Administration always finds a way to pop up in our weekly news at some point. So here’s some more! The NHTSA is currently investigating 120,000 2002-2007 E65 and E66 BMW 7-Series over a concern that the car’s parking pawl may not hold the car in park when it is shifted in P, allowing the car to roll away. This could probably take the cake as the most odd bit of news for this week so far. The owner of a Shelby Cobra or replica of the latter recorded himself doing donuts in an empty living room. We can only assume he’s trying to make his floor a bit more exciting just before he furnishes the place. In the video, you can see that he does a decent job painting the living room floor with rubber in a circular manner. Electronic vehicle company Telsa is experiencing some unexpectedly high foot traffic at its showrooms. With a number of enticing elements at the various locations, the brand has put four additional executives in place to handle what is to come for the start up. Currently, only one model is available with a $109,000 price tag, which Telsa is pulling the plug on to make way for next years’ Model S plug –in hybrid model. Nearly empty showrooms haven’t stopped people from pouring into the showrooms, though. The brand reports that its Santana Row, San Jose, CA location gets 5,000 to 6,000 walk-in customers weekly, while the Denver’s Park Meadows section gets double that. Tulsa attributes the attraction to good location, a shopping-mall style store, and an EV education format, which allows the public to understand how EV’s are created and operate, and what they can expect as an owner. Word has been bouncing around involving Christopher Nolan’s latest entry to the Batman franchise and we’ve seen some preproduction photos of the crew hard at work. A new photo has popped up, compliments of Warner Brothers Studios. The photo is of Anne Hathaway as Catwoman riding Batman’s prized bike that came from the damaged Batman Tumbler assault vehicle in The Dark Knight. However, not much else came with the photo release in terms of info. So of course, we can expect some more information pop up about the latest Batman film, The Dark Knight Rises. This does raise some questions though however for the movie itself. Nolan has been known in his last two Batman films to cram as many back story characters as possible. Could he be doing it again? Either way, I still leave my trust in the hands of Nolan. 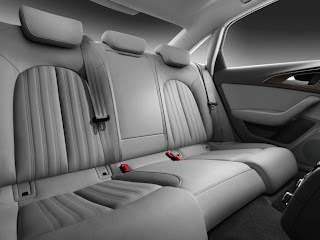 Toyota today released teaser number 2 of the 2012 Camry, which we’ll see later this year. Teaser no. 2 gives us a little glimpse of the rear-end of the new Camry, specifically the tail lamp. So far we like what we see, however, we feel overall Toyota will totally have to knock the next Camry out of the park as competition from the Hyundai Sonata. A high-performance electric powertrain has been crafted by Toyota Motorsport GmbH and is going to try to break an existing lap record. Toyota’s electric vehicle is set to run its laps at the Nurburgring Nordschleif at the end of this month. The car is completely electric and the brand is setting out to show that motorsport can go green and not struggle for fans. With a 0-62 time of 3.9 seconds and two-seater chassis, it may be able to achieve that goal. Unofficial testing has proven it should be successful at breaking the record, as well. The EV lap record is currently at 9 min and 1.338 seconds. 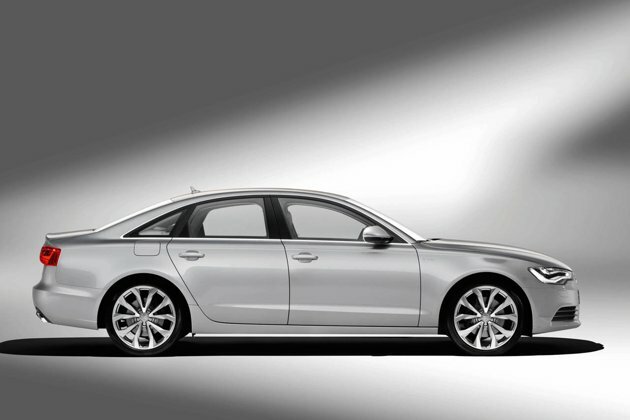 Audi unveiled a pretty interesting vehicle today that doesn’t really fit under any conventional categories. Known as the Audi urban concept, the 1+1 seater is an ultra-light vehicle being studied for congested urban areas. The urban concept seats two people low to the ground and displays them with a bunch of controls and materials constructed of ultra-lightweight construction. The driver can adjust the steering wheel and pedals to his own liking. Interestingly, entry to the Audi urban concept is through the tailgate and the roof is designed to be maneuverable and slides to the rear to open. Power for the Audi urban concept comes from two e-tron electric motors, which get their fuel from a lithium-ion battery. No technical details were released. The coolest thing about the Audi urban concept? It’s riding on 21-inch wheels. Prior to its debut at the 2011 Frankfurt Motor Show next month, Hyundai has released the first rendering of the next-generation i30 C-segment hatchback. 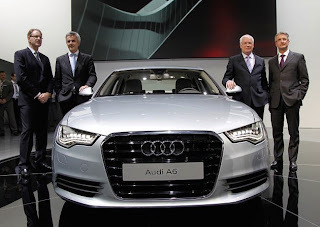 Audi has been hard at work to expand their Q-SUV lineup. And with growing success in terms of sales and the already preexisting Q-lineup, Audi is planning to introduce more Q-SUVs. It first started off with the Q7, which in 2010 increased production by 37.1% due to a height in sales. 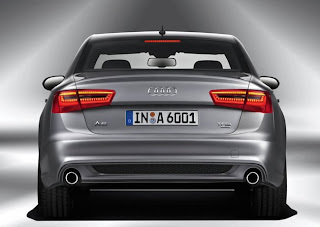 The Q5 grew by 32.4% and with the Q3 on the way, Audi’s SUV sales are very much nearing 250,000 units. 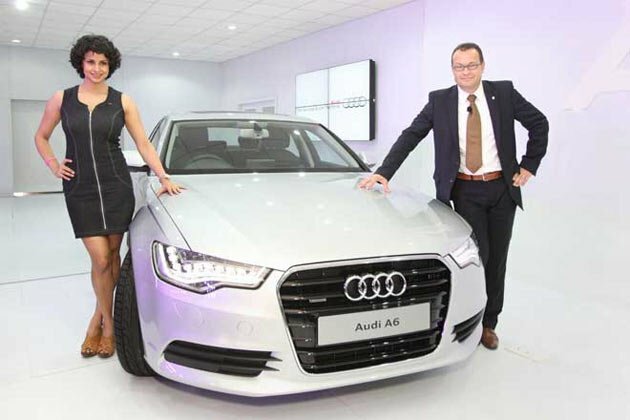 That’s about to significantly increase because Audi’s Q6 crossover SUV that will go against the likes of the BMW X6 and the Infiniti FX is very much on its way after receiving a green light for production earlier this year. In other news with Audi’s SUV lineup, the current Q7 is expected to be replaced by an all-new model in 2014 and will be based on Audi’s new MLB Evo architecture. 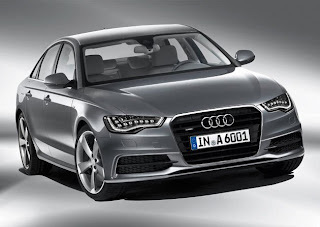 The new platform is said to be 300kg lighter, feature an aluminum body and be available in plug-in form. The next generation Q5 is slated for a mid-2016 release and will also be based on the MLB Evo allowing it to be lighter as well. The Q6 is also pegged for a 2016 release and lastly, Audi has been rumored to be working on a two-door SUV called the Q4. A new report is out by Fortune magazine that surveyed a select number of automobile journalists. And that survey says reviewers found Nissan’s unusual Murano CrossCabriolet as one of the oddest cars on the road. If that’s not enough for you, just based on aesthetics alone, I myself would say that the Nissan Murano CrossCabriolet is our new generation’s Pontiac Aztec. The ERA Electric Raceabout, developed by Helsinki Metropolia University of Applied Sciences was spotted zipping around the track at the Nurburgring. Power is provided by four electric motors, all running off of a 32 kWh lithium-titanate battery. What that equates to is a 0-62 time of 6 seconds, and 268-hp at 737 lb-ft. The Electric Raceabout tops out at 124-mph. If the video proves correct, the car may have made it around the Nordschleif in just over nine and a half minutes. Is this the future of production model electric cars? It would certainly help their popularity. Kelley Blue Book has just released their recommendations for the best cars for students going back to school. The recommendations consist of two lists, the first being the top-five best new cars and the second, the best five used cars for students. The vehicles chosen had to meet a certain criteria: safety, affordability, versatility, reliability, cost of ownership and fuel economy and of course, aesthetic and driving fun factor. All the cars had to be available for less than $18,000 using KBB’s own pricing guide.